I was 16 when I got my first credit card. It was linked to my dad's account but I had to pay the bill with the exception of things like medical bills and a light allowance for clothes twice a year. My parents taught me about money and saving when I was little and by the time I was old enough to have my own credit card, I was mature enough to know how to save money and not go crazy spending. When I turned 18, I applied for my own credit card and have had the same one since. At first, it was a card that earned 1% back on all purchases. Since that time, it changed to being where I get 2% back on all purchases- 1% back when I buy it and 1% when I pay the bill. I use my credit card on all of my purchases that allows me to pay with a credit card. Check out CreditCards.com for more information on earning rewards on your credit card. Their goal is to help people have greater opportunities through smarter spending. They rate and review credit cards to help compare them to see which is best for you. It is super helpful! My number one tip though is to only use a credit card if you can pay the bill off each month. For example, if I do not have money to buy new furniture, I am not going to put it on a credit card. Just because my account lets me have a certain limit, I am not going to spend that money unless I can afford to pay the bill in full each month. I love these rewards accounts because it gives me money back on purchases that I am already making. I do not have to shop at any certain stores, sign-up for different things, spend a certain amount of money or anything to get this money back. I just checked my rewards account and I have earned just under $1,000 back! That is a lot of money! Instead of getting a check or gift card with that money, I always just apply it to my bill for that month so it takes a little bit of the money I owe off. That way, I don't feel like I have extra money to spend and am more responsible. You can also claim a gift card, get the money directly deposited into your account or get a check. Money back on my favorite snack! Yay! We currently use our credit cards on all of our grocery shopping, clothing purchases, restaurants, water bill, gas bill, electric bill, car insurance, health insurance bills, etc. Everything that we can use a credit card on, we do because we can earn that 2% back which as you see, can really add up over time. Started preschool last week but college will come up before we know it! My dad is kind of our unofficial financial adviser and lets us know if he sees any credit cards or bank accounts that offer good rewards deals. We recently signed up for Upromise which you just link your credit cards to and it gives you money towards your child's college savings on certain purchases. I just signed up about a month ago so I am excited to see what we are able to earn with that. Our credit cards also sometimes offer special deals monthly. 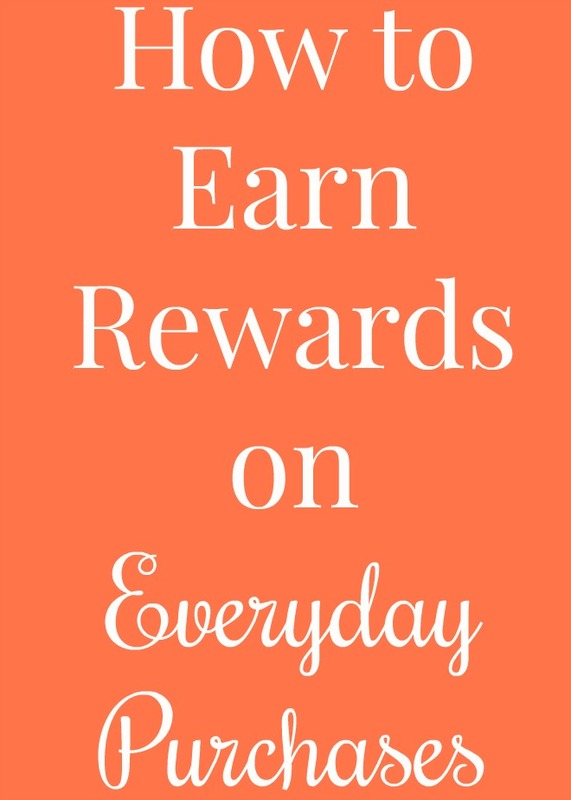 For example, sometimes, you can get rewards such as 5% back when you shop at different drugstores. When these types of deals are available, we make sure to use those cards on those types of purchases. Having rewards on our credit cards helps us have money for the things that we want to do- like little trips with our family! I know that some people are not comfortable with using credit cards but we have had nothing but good experiences with them. As long as you do not get too carried away with spending and pay your bill off monthly, you should not have a problem. When choosing a credit, research what kinds of rewards are available and choose which one is best for you and your specific needs. We do not travel a lot by airplane so we do not have rewards that are specific for travel but I know that a lot of people enjoy those types of credit cards.